1.Use upper and Lower case letters with a combination of numbers and symbols. 2.Make your password long, minimum 12 characters. 3.Don’t use same password for different accounts login . 4.Substitute Character with symbol or sign like $,%,&,@,#,!,*. 5.Don’t save your password in any device, make sure to log off. 6. Change your password every month. 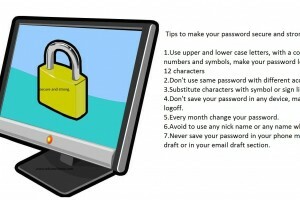 7.Avoid to use your name, family members name or any famous place or any person name as your password. 8,Never save your credentials in your phone message box or in your email draft message or in your contact directory . Passwords security are one of the top problem we do face each day, some of us don’t even give that much important and time to make credentials strong and secure , we do have many online account and very difficult to manage and remember password. 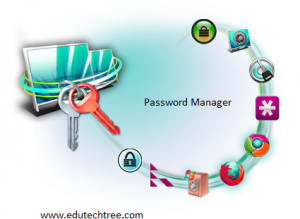 Many Password Manager is available online and can be install locally, A password manager help a user to organize and store password. Some password managers store passwords on the user’s computer hard disk, whereas others store data in the cloud. While the core functionality of a password manager is to securely store large collections of passwords. ← Learning is a skill and it can be improved.